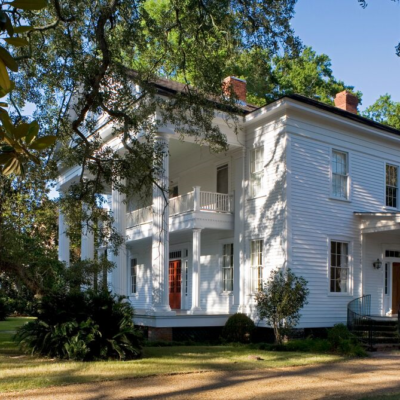 Begin your day by picking up your registration packet at the whimsical Lapham-Patterson House, a state historic site managed by the Thomasville History Center. Tour this unusual Queen Anne style winter cottage completed in 1884 that features 19 rooms and over 50 exits. 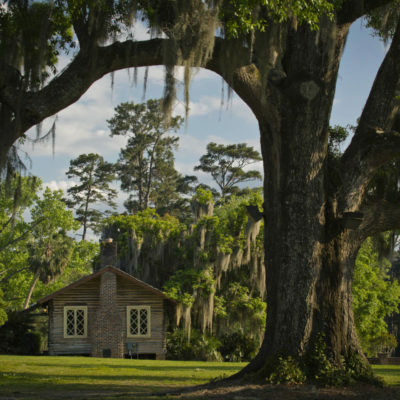 Afterwards, immerse yourself in the history of Thomasville at the Thomasville History Center. Enjoy a self-guided tour of the seven historic buildings located on the property, including the 1896 Ewart Bowling Alley, believed to be the second oldest bowling alley left standing in the United States. 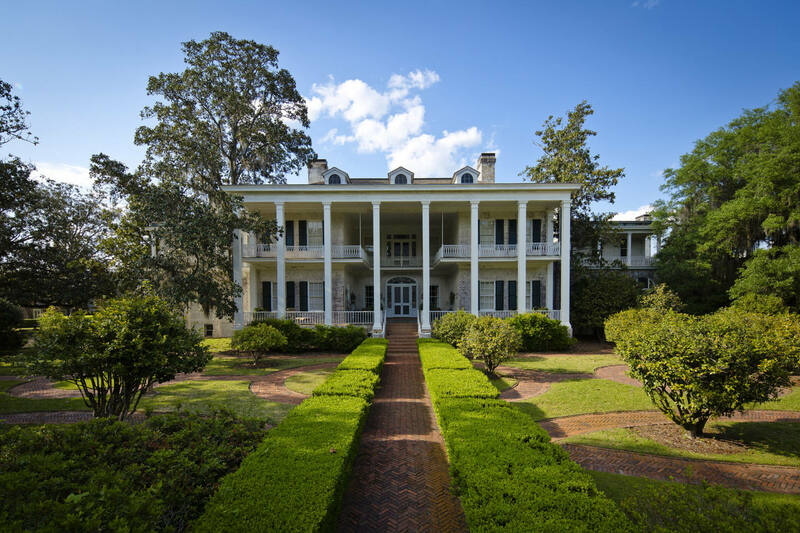 Continue the afternoon exploring fascinating private residences while strolling the tree-lined streets of the Dawson Street Residential District and the Tockwotton-Love Place Historic District. Friday evening’s activities will begin with the 42nd Annual Preservation Awards where we will celebrate the state’s top preservationists and projects. Enjoy cocktails and dinner on the picturesque grounds of the privately owned Tudor Revival style Osceola Plantation. This 840-acre estate was developed for game bird hunting and is currently owned and used as a guest house by the Williams family. Dine in the main gallery of the Thomasville Center for the Arts and enjoy the Center’s private collection. Constructed in 1915, this Mediterranean Revival style building was originally home to the East Side School and is one of Thomasville’s preservation triumphs. After breakfast, stick around to hear the state of preservation in Georgia at The Georgia Trust’s Annual Meeting. 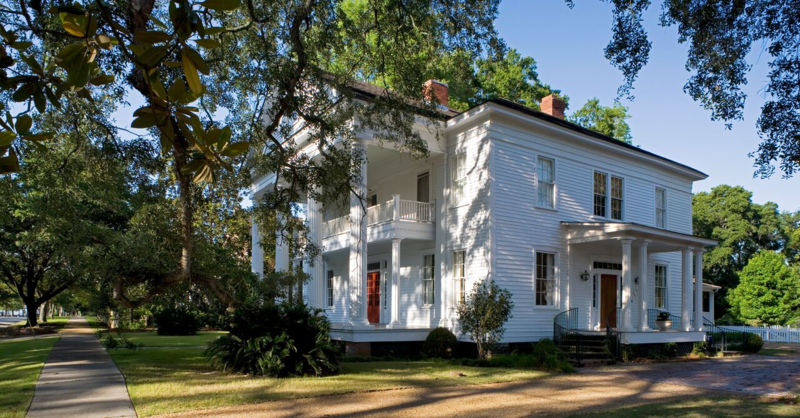 You will also learn about the fascinating history of Thomasville, its architecture and local preservation efforts from local experts during orientation. 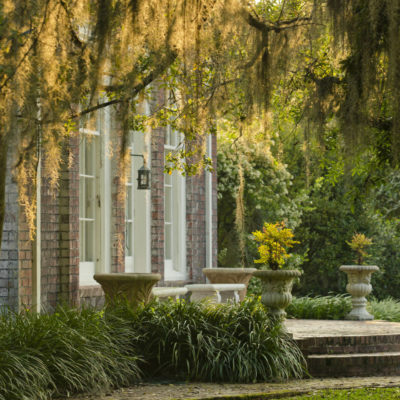 Discover Greek Revival, Neoclassical Revival, Colonial Revival, Craftsman and High Victorian Eclectic homes of Thomasville’s National Register historic districts. 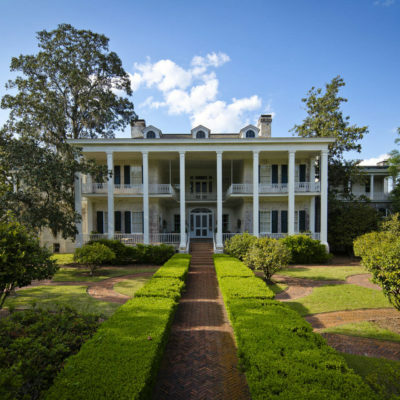 Visit the stunning Greenwood Plantation, a Classical Revival home constructed in 1839. Experience the rare opportunity to tour the interior of this iconic home that served as a refuge for Jacqueline Kennedy following the death of President John F. Kennedy. Take a break from touring to enjoy a delicious lunch in one of the downtown eateries and wander the streets of Thomasville’s historic downtown district, known for its character, charm and hospitality. Dine at the exclusive Glen Arven Country Club, whose golf course was a favorite for President Dwight D. Eisenhower. It was on the 18th hole of Glen Arven in 1956 that President Eisenhower deemed himself fit enough to run for another term as President of the United States. Founded in 1892, Glen Arven is one of the oldest clubs in America. Begin your day with a delicious brunch provided by one of Thomasville’s premier caterers at the Sugar Hill Barn. 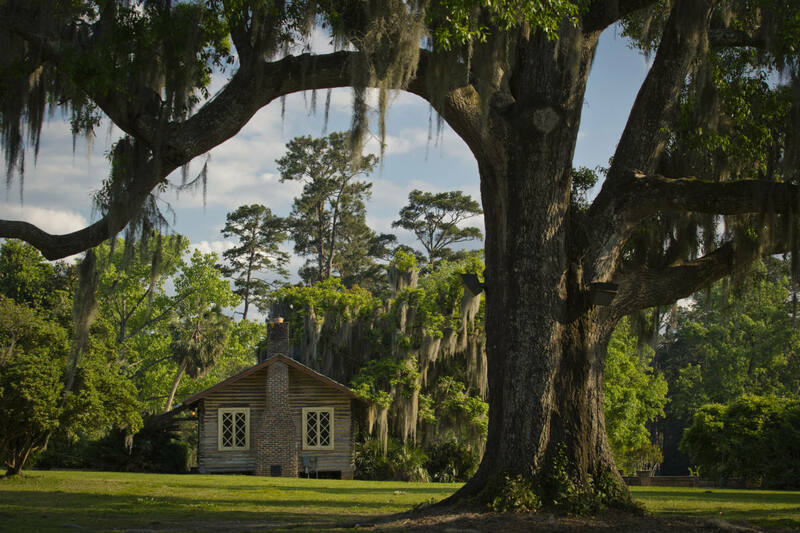 Surrounded by a grove of tall pines, the Sugar Hill Barn is located on the grounds of Pebble Hill Plantation. 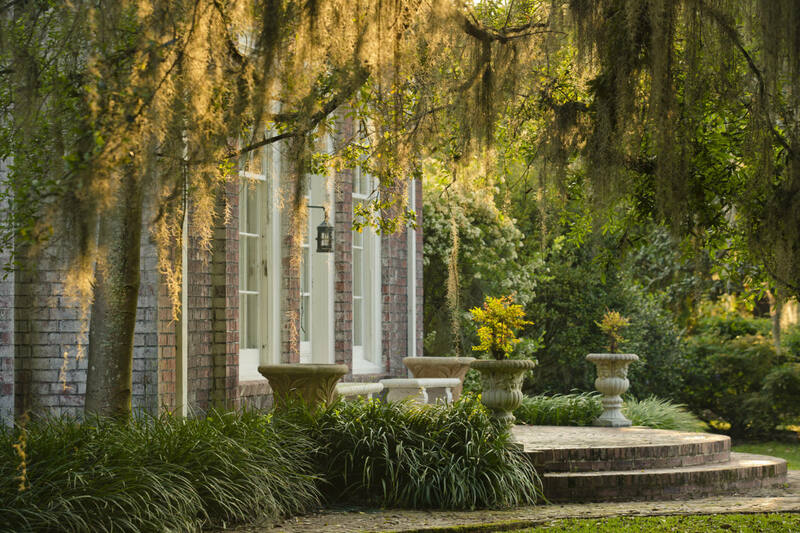 Experience the charm and southern hospitality of Pebble Hill Plantation’s 76-acre beautifully manicured grounds, including the 1936 main house designed by Abram Garfield, with its extensive art collection and priceless antiques. Explore the village of Neoclassical Revival outbuildings, including the log cabin school, fire engine house and stable complex, as well as beautifully restored gardens featuring a reflection pool, sundial and a hedge maze dating to 1935. *Sites and times are subject to change. Event occurs rain or shine. With the exception of the first four images (courtesy of Georgia Department of Economic Development), photographs are by Van Jones Martin appearing in Thomasville: History, Homes, & Southern Hospitality, jointly published by Thomasville Landmarks and the Thomasville History Center.